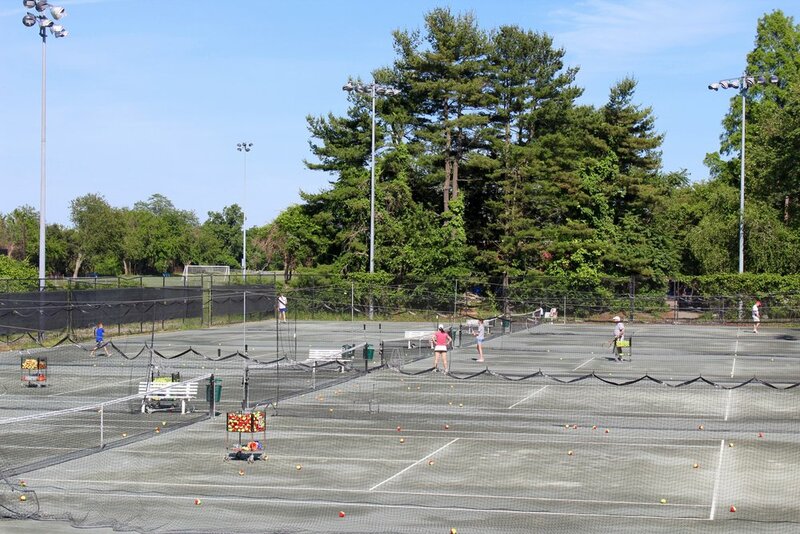 Our adult tennis clinics are a great way to improve your skills under the instruction of a certified pro and the support of a small group of players like you. Lessons focus on strokes, movement and strategy. For all levels. Intensive sessions of stroke work, drills and strategy designed to raise the level of your game. 1-hr or 1½-hr clinic once per week for 5 weeks. Don’t have time for a long term commitment? Want to add an additional clinic to your existing schedule? Sign up for one of our drop in clinics one week at a time and pay as you go. Days and times of classes will be posted on our calendar when set. Advance sign up required. These weekly drop ins are a great way to work on your game, have fun with friends - and meet new players. Price includes balls. Come when you can, no advance sign up required.